Some people consider a bicycle a toy. I don’t. To me a bicycle is a machine that helps produce healthy, happy, adventurous kids. 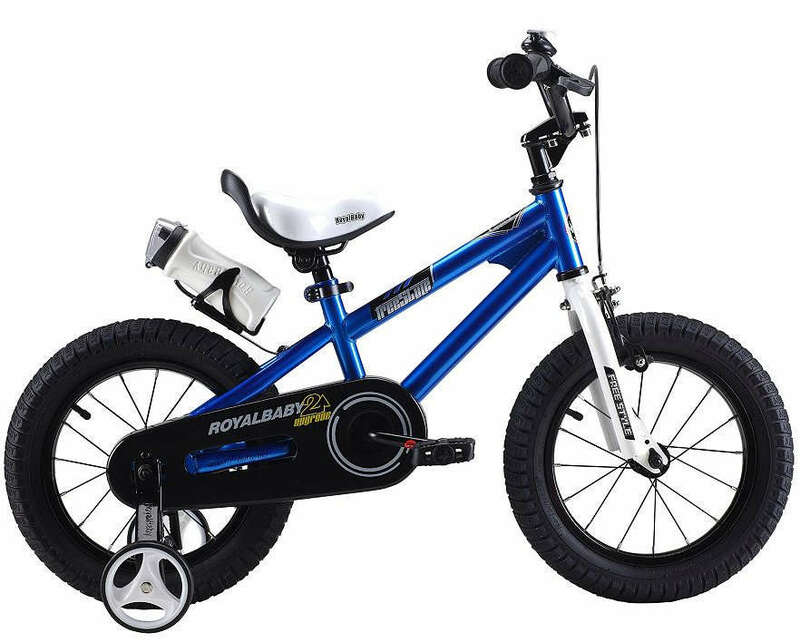 There is nothing, absolutely nothing as wonderful as hear your child laughing when they first learn to ride a bike. As adults we don’t express our emotions as easily or openly as children do, but for those who learned to ride a bike for pleasure, it’s hard to compare the feeling you get to any other activity. It’s freedom and joy intermingling in a happy soup of adventure. I know a young man who won’t ride a bike today because when he was a boy his parents stuck him on a bike that was too big, pushed him off to figure out how to ride on his own, and he fell. While he didn’t break any bones, he broke his confidence in riding. Sometimes, what happens to us as children will stick with us for life. Fear can be that powerful. I caution parents to start their children on a bike early and with proper instructions. Be with them at first and guide them on their way. When they’re ready, you won’t be able to keep up. Freedom on a bike is that intoxicating. So, what should you do to give your child the best introduction to cycling? I suggest that you start small and build up the size and functionality of the bike as they grow both in stature and in confidence. idea of a bike, and learn the elements of balance without having to learn the technique of pedaling at the same time. My daughter picked it up faster than my son, but that may be because she grew up in a house with carpets and super soft padding below the carpet. She could fall and not get hurt. By the time both were 1 1/2 they were riding their Striders outside on the sidewalk like pros. 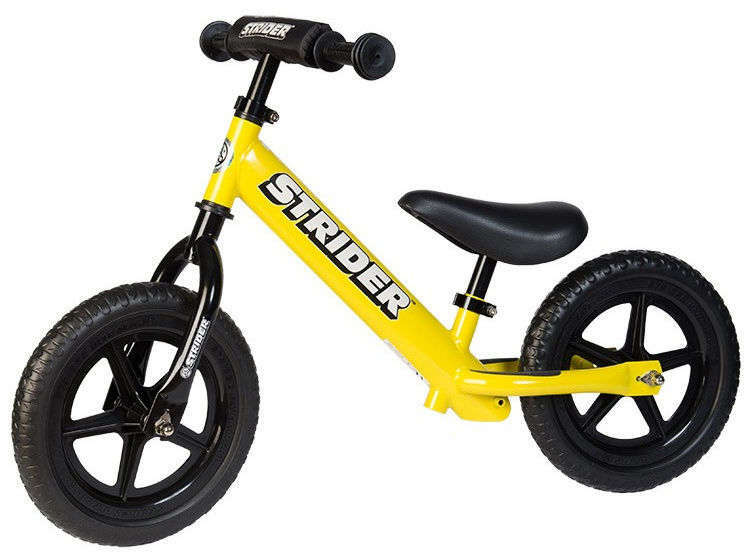 Once my daughter turned three, I moved her to a pedal style Strider bike. By then her gross motor skills had improved enough to try pedaling. Her distance perception had also improved. I was confident that if she was heading toward a telephone pole she would be able to maneuver around it successfully. I took a bike which looked like the blue bike above and removed the training wheels, water bottle cage, and chainring cover to lighten it up. I held my daughter's shirt while she got comfortable getting started with the pedals. Then she was gone....no need for daddy anymore. Next I bought a 16" princess bike ( super heavy ) from a department store, but my daughter never used it. She went from the 12" wheel bike to a 20" BMX style micro mini which weighted about 15lbs. Then she moved to a Downtube Race mountain bike.